Advertiser.ie - Wine, women, and song! 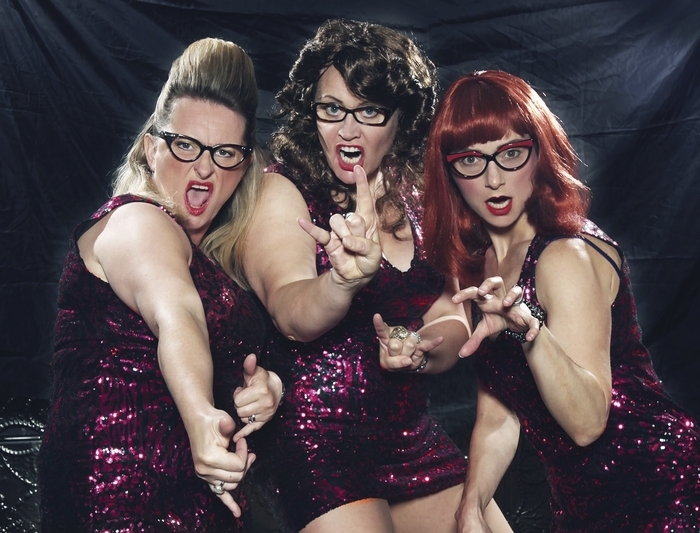 The Nualas deliver their comedy through songs covering a range of styles, which Maria says will take in “baroque, ballad, Brecht, and Slipknot – ye know, eclectic”. While Maria says there will be a couple of the old favourites from The Nualas 1990s era - otr more recent numbers like 'Yummy Mummy Blues'? Amid all this comedy turmoil, can we count on that one constant, that The Nualas will, as ever, be resplendent in dresses that are sparkly and indecently short? Maria’s reply is “very, and yes”. The Nualas have earned their place in the iconography of modern Irish comedy, but their style and sense of humour can often be seen as one aimed more at, and understood by, women, with men not always being ‘in’ on the joke. How do The Nualas react to that kind of perception? “You only have to talk to Barrack Obama, Vladimir Putin, Angela Merkel, and Enda Kenny to find out how well we go down with world leaders, who happen to be all male,” says Maria. The Nualas were formed by Anne Gildea in 1995 and were a going concern before seeming to call it a day in the early noughties. However, Gildea and Collins revived The Nualas in 2011, this time with Maria Tecce - who is originally from Boston, and who had already carved out a successful solo career as a singer and actress in Ireland - lining out as the ‘Third Nuala’. How did she come to be involved? “Well, as I recall there were a few very strong vodka and tonics, a game of Twister, and the promise of pots of cash and very shiny dresses,” she says. “The rest, I have absolutely no idea what happened.” She describes her entry into the Nualaverse as “as a baptism of fire” and her time in the group as “a rollercoaster”, but one she is clearly enjoying. “It has ended up three years of laughter, tears, lots of Diet Coke, and more laughter,” she says. Page generated in 0.1112 seconds.